KAMPALA – Kyandondo East MP Robert Kyagulanyi aka Bobi Wine has expressed solidarity with four people power activists, including Ofwono Opondo’s brother, who are currently battling different charges in court and police. 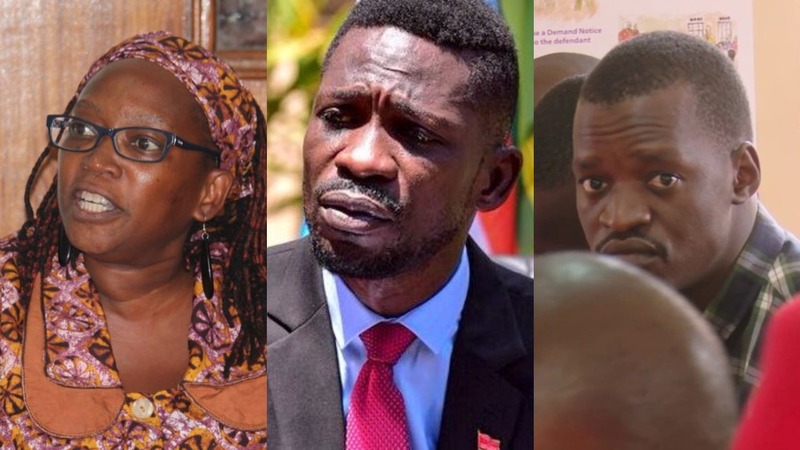 Bobi Wine said Stella Nyanzi, Julius Katongole, Moses Bigirwa and Gaster Opondo are being persecuted for speaking the truth. “This evening, my thoughts are with my friends and comrades in the struggle Dr Stella Nyanzi, Comrade Bigirwa Moses, Comrade Dem Gaster Opondo and Comrade Katongole Julius. These four comrades (alongside many others) are in Luzira prison for speaking truth to power these past days,” he said on Friday evening. Nevertheless, Bobi Wine said that the group is in high spirits and that jail has not dampened their spirits. He added that Gaster Opondo, Bigirwa and Katongole are great assets in the struggle for change. “Dem Gaster Opondo is a brother to government spokesperson Ofwono Opondo. Months back, he denounced NRM and joined #People_Power. Since then, his life hasn’t been the same. He has experienced extreme political persecution, until recently when he was brutally arrested, tortured, illegally detained, only to be charged with some flimsy charges. He is equally in high spirits, willing to sacrifice temporary comfort for the greater good of our country,” he said. Bigirwa was remanded to Luzira prison till next week when court will deliver its decision on his bail application. Bigirwa was arrested by from Top Radio situated at Makerere –Kavule and whisked off to Kawempe police station. The two and other people were in a radio show dubbed Negwozadde moderated by Stephen Busuulwa. Appearing before Law Development Center Magistrate Roselyn Nsenge, said Bigirwa was accused with the publication of false news when he went on radio and said the NRM government had planned to kill Bobi Wine during the fracas that ensued during the Arua by-elections. Through his lawyers led by Samuel Muyizzi Mulindwa, Bigirwa applied for bail however, the Magistrate ruled that the application will be herd on Monday and the decision will be made thereafter.